It’s safe to say I’ve hopped on the “chia seed pudding” bandwagon. I’ve been quickly preparing this mixture these past two nights. It’s great. This concoction is so simple to make it’s ridiculous. By morning, It turns into this completely different medley of ingredients — and tastes even better. For this recipe I used a mixture of frozen organic berries (strawberries, raspberries, blackberries and cherries) – they’re much more flavourful and delicious. A few people I’ve talked to commonly complain that they don’t find the time in the mornings to throw together something healthy, and filling. Well, look no further. I promise you this breakfast bowl will keep you fulfilled for at least 4 hours. It starts your day off full of vitamins, omegas and good ol’fibre. Throw this together and let me know what you think! 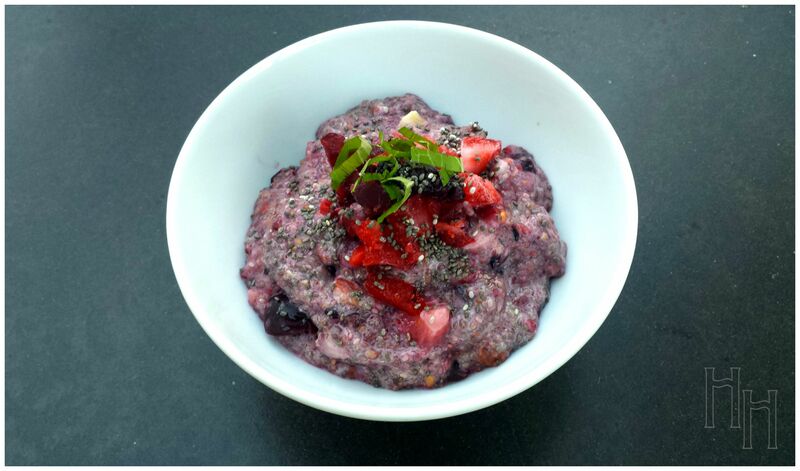 – More Berries and Chia Seeds! Wake up the next morning and enjoy! Are you a fellow Chia Seed lover? Try this recipe out and let me know what you think in the comments below!